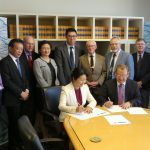 On July 1, 2018 CIETAC (China International Economic Trade & Arbitration Commission) officially registered in Vancouver to set up an Arbitration Centre. 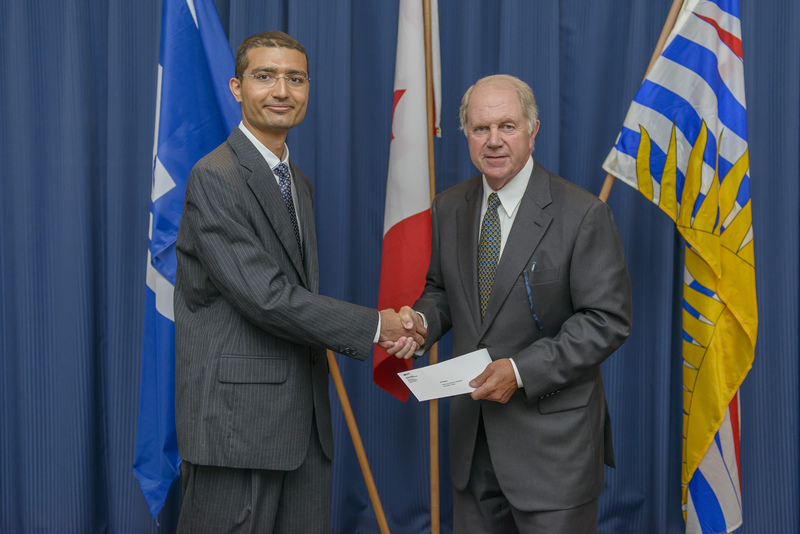 The organization held a signing ceremony co-hosted by the Vancouver Economic Commission, Minister of Jobs, Trade and Technology, Victoria, British Columbia representative Mr. Hon. Bruce Ralston, Minister of State for Trade Mr. Hon. 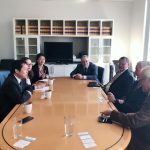 George Chow, Deputy Consul General of Consulate General of the PRC in Vancouver, Mr. Kong Weiwei, Commercial Counselor of Consulate General of the PRC in Vancouver, Yu Shanjun, along with Chairman of the Vancouver Maritime Arbitrators Association, Dennis Pong. There were about 160 people in attendance, including representatives from the provincial government, legal experts, heads of large Chinese enterprises and commercial organizations along with industry members who had traveled from overseas. The following day on July 2, 2018, the CIETAC delegation visited the VMAA at Bernard LLP. 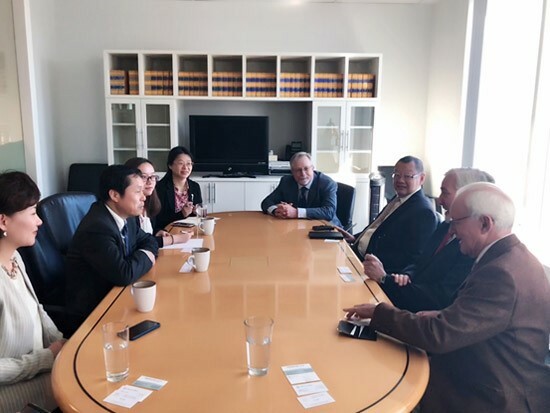 They met with Mr. H. Peter Swanson, Bernard LLP partner, Alex Smith, VMAA Arbitrator, Dennis Pong, President of VMAA and other legal practitioners. 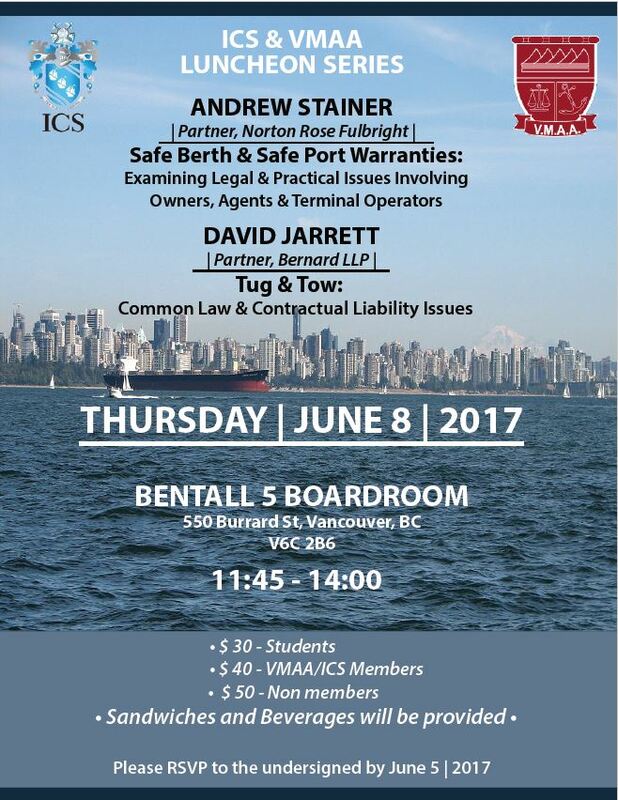 The groups discussed the prospect of establishing Vancouver as a prominent centre for arbitration in North America — so that it is seen as a major centre for resolving both commercial and maritime dispute in Canada and the US. 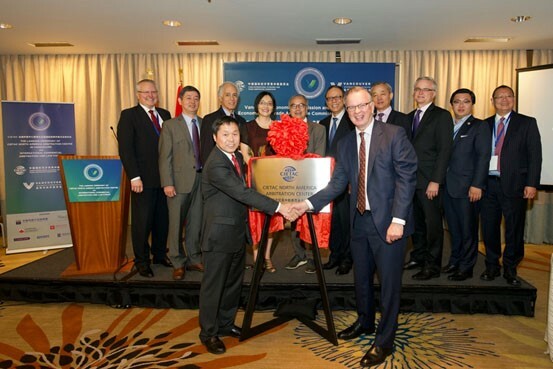 Mr. Dennis Pong welcomed the establishment of CIETAC North America Arbitration Center in Vancouver and extended congratulations on the organization’s successful landing ceremony. 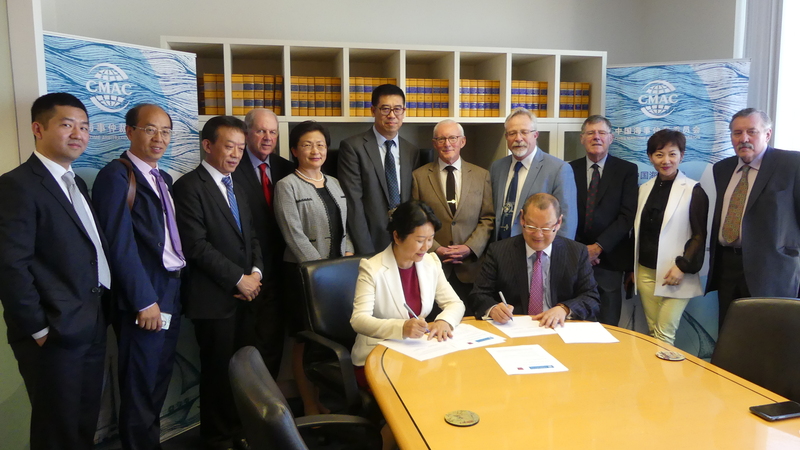 Following the seminar, CMAC and VMAA held a ceremony for signing the new CMAC-VMAA Cooperation Agreement. 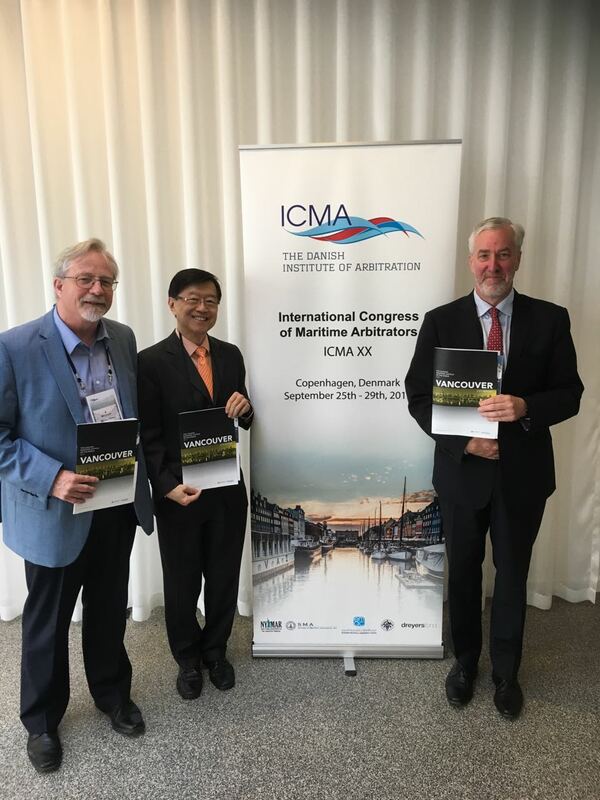 Previously, CMAC and VMAA signed a Cooperation Agreement in May 2012, based on the shared concept of establishing fair arbitration procedures and highlighting the importance of arbitration within the global shipping industry. 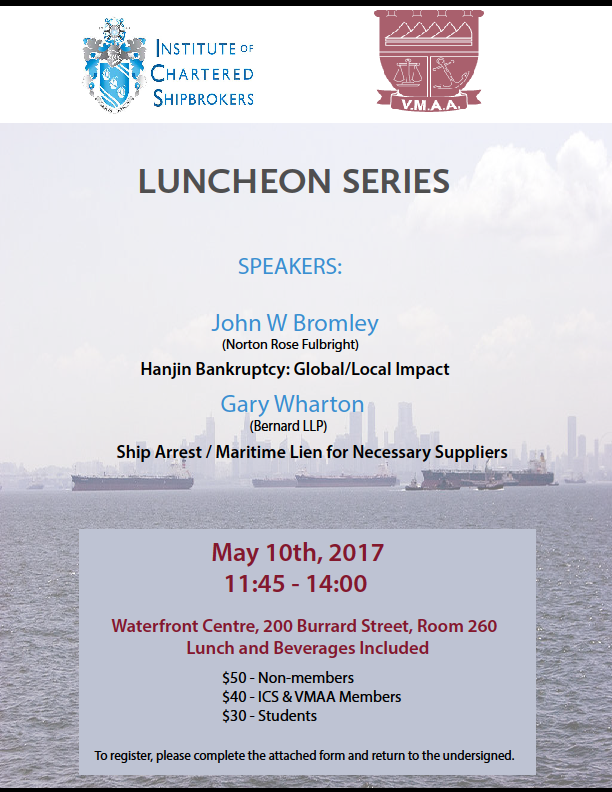 Both organizations have engaged in joint seminars over the past few years, allowing VMAA members and others from within the shipping industry to learn more about arbitration and economic trade in other notable centres outside of Vancouver. 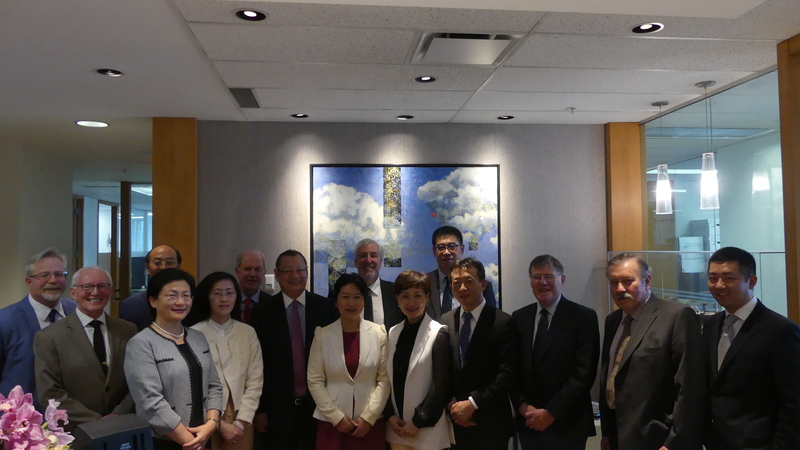 The CMAC-VMAA Cooperation Agreement marks an important cornerstone for both groups, with the goal of facilitating enhanced trade and cooperation between China and Canada within the maritime industry. Stay tuned for our recap of the 1st VMAA & ICS Luncheon Series of 2017! 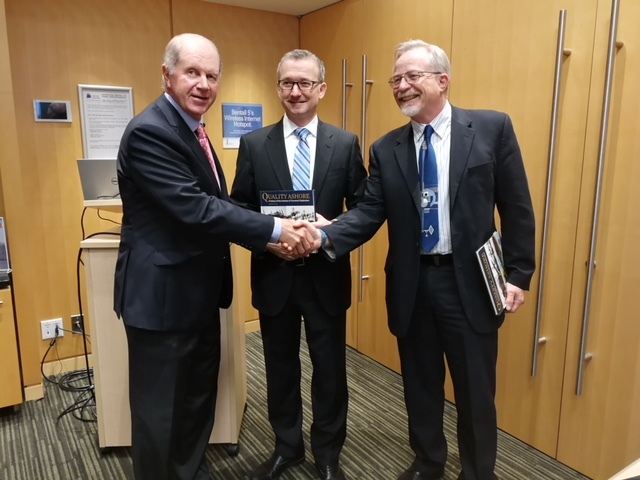 Not wishing to schedule a special event on the Ides of March, the Vancouver Maritime Arbitrators Association presented two special speakers on Monday, March 7 at the Bentall V Conference room on Burrard Street. 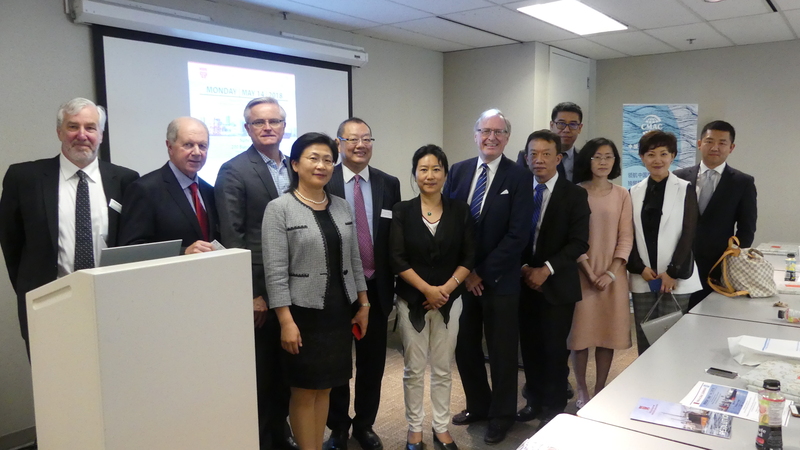 As one of four different educational events planned for 2016, it was a big treat to have not one but two maritime arbitrators/mediators, one from Vancouver and one from China. 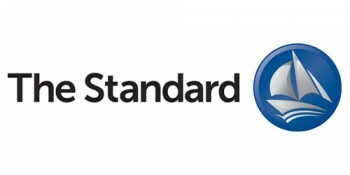 Both individuals are, in their own rights, well-qualified to hear disputes not only as “maritime” arbitrators but also as “international commercial” arbitrators. It became obvious that the speakers’ reputations preceded them as the Conference Room was standing room only, with 45 keen participants in attendance. Delicious sandwiches and wraps, with light refreshments were quickly consumed and our current VMAA President, Dennis Pong, addressed the audience with eloquent and condensed bios of both gents. Each resume could have filled a page of accolades and accomplishments related to arbitration AND mediation.